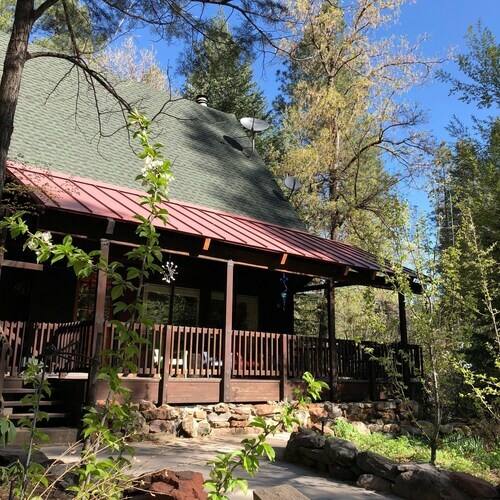 Situated in a rural location, this vacation home is 3.5 mi (5.7 km) from Oak Creek Canyon and within 12 mi (20 km) of Slide Rock State Park and Sedona Art Center. Midgley Bridge and Forest Highlands Golf Club are also within 12 mi (20 km). 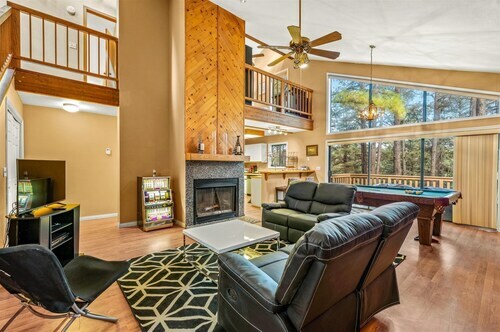 Situated in Sedona, this romantic vacation home is 3.5 mi (5.6 km) from Oak Creek Canyon and within 12 mi (20 km) of Slide Rock State Park and Sedona Art Center. Midgley Bridge and Forest Highlands Golf Club are also within 12 mi (20 km). Situated in Sedona, this romantic property is 3.5 mi (5.7 km) from Oak Creek Canyon and within 12 mi (20 km) of Slide Rock State Park and Sedona Art Center. Midgley Bridge and Forest Highlands Golf Club are also within 12 mi (20 km). Situated in Sedona, this historic property is 3.5 mi (5.6 km) from Oak Creek Canyon and within 12 mi (20 km) of Slide Rock State Park and Sedona Art Center. Midgley Bridge and Forest Highlands Golf Club are also within 12 mi (20 km). Situated in Sedona, this property is 3.6 mi (5.7 km) from Oak Creek Canyon and within 12 mi (20 km) of Slide Rock State Park and Sedona Art Center. Midgley Bridge and Forest Highlands Golf Club are also within 12 mi (20 km). Situated in a rural location, this historic vacation home is 3.6 mi (5.7 km) from Oak Creek Canyon and within 12 mi (20 km) of Slide Rock State Park and Sedona Art Center. Midgley Bridge and Forest Highlands Golf Club are also within 12 mi (20 km). 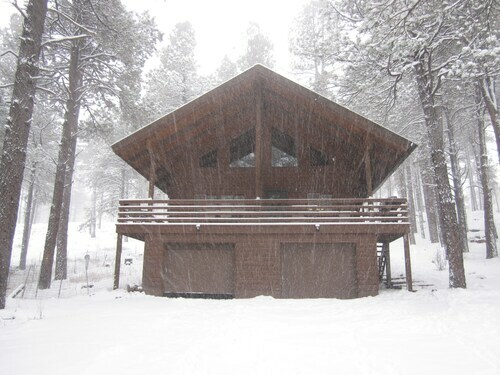 Situated in Flagstaff, this property is 1.6 mi (2.6 km) from Kachina Trail and 2.5 mi (4 km) from Forest Highlands Golf Club. Northern Arizona University and Coconino County Fairgrounds are also within 9 mi (15 km). 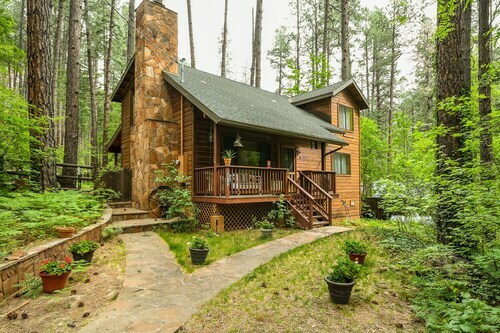 Situated in a rural location, this vacation home is 1.4 mi (2.3 km) from Kachina Trail and 2.9 mi (4.7 km) from Forest Highlands Golf Club. Northern Arizona University and Coconino County Fairgrounds are also within 9 mi (15 km). Situated in Flagstaff, this townhouse accommodation is 1.5 mi (2.4 km) from Kachina Trail and 2.5 mi (4 km) from Forest Highlands Golf Club. Northern Arizona University and Coconino County Fairgrounds are also within 9 mi (15 km). 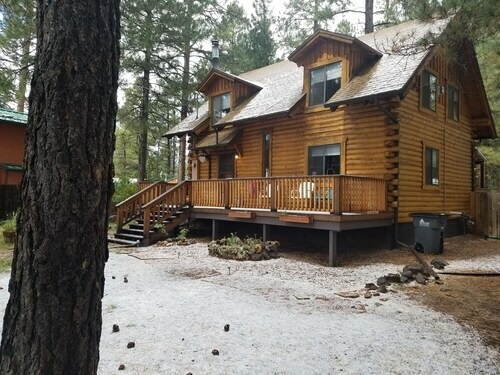 Situated in Flagstaff, this property is 1.7 mi (2.7 km) from Kachina Trail and within 9 mi (15 km) of Northern Arizona University and Coconino County Fairgrounds. Forest Highlands Golf Club and Walkup Skydome are also within 9 mi (15 km). 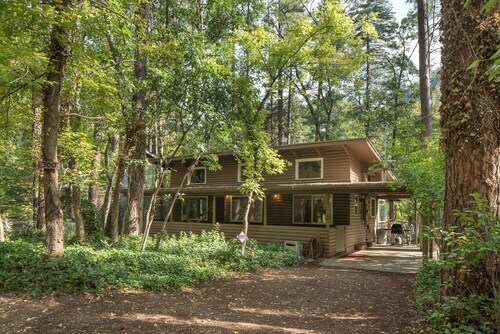 Situated in a rural location, this historic vacation home is 1.3 mi (2.1 km) from Kachina Trail and 2.8 mi (4.5 km) from Forest Highlands Golf Club. Northern Arizona University and Coconino County Fairgrounds are also within 9 mi (15 km). Earth's works of art are wonderful to behold. Oak Creek Canyon is one such example. Sedona, where it is located, sits 110 miles (177 kilometers) from the capital of the state, Phoenix. We wouldn't say you'll be overwhelmed with choice as far as finding hotels near Oak Creek Canyon, but you still have 2 options within 6 miles (10 kilometers) to select from. The Junipine Resort and Motel In The Pines are two establishments to consider. Get out your favorite walking boots and head out on West Fork Oak Creek Trail. This refreshing hiking trail is the perfect way to acquaint yourself with the charming natural beauty of this area. A trek through Kachina Trail will provide lovers of nature with beautiful scenes and a relaxing break from the stress of city life. Golf is a great way to unwind and get a little exercise at the same time. So if you'd like to have a shot, spend a few hours at Forest Highlands Golf Club. Walk through beautiful scenery and connect with nature at Slide Rock State Park. It's easy to see why the shores of lovely Stoneman Lake are a good place to relax. Need insider tips on must-see attractions in Oak Creek Canyon? Check out our Oak Creek Canyon travel guide! How Much is a Hotel Room in Oak Creek Canyon? 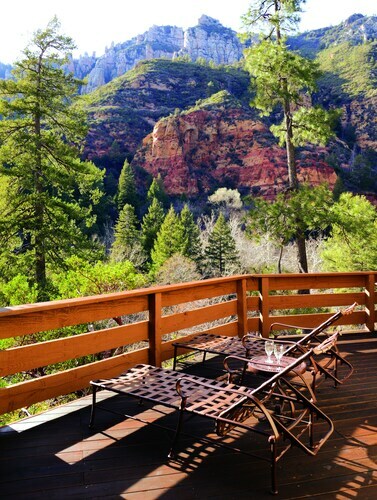 Hotels in Oak Creek Canyon start at $214 per night. Prices and availability subject to change. Additional terms may apply. Chic Flagstaff House W/patio & Mountain Views! Enchanting Artistic Mountain Chalet. Dog Friendly! Check out the Video!